Purchase of this bodysuit sends one book to a community in need. Adorable steel blue playsuit featuring the cover image of Brown Bear, Brown Bear, What Do You See? by Eric Carle. Supersoft fabric made of 95% viscose and 5% spandex. Available in sizes Newborn - 9 Months. Adorable pink playsuit featuring the butterfly image from The Very Hungry Caterpillar by Eric Carle. Supersoft fabric made of 95% viscose and 5% spandex. Available in sizes Newborn - 9 Months. 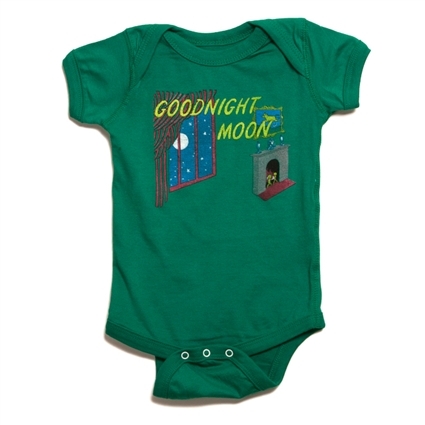 Adorable 100% cotton onesie featuring the cover image of Ludwig Bemelmans' iconic Madeline. 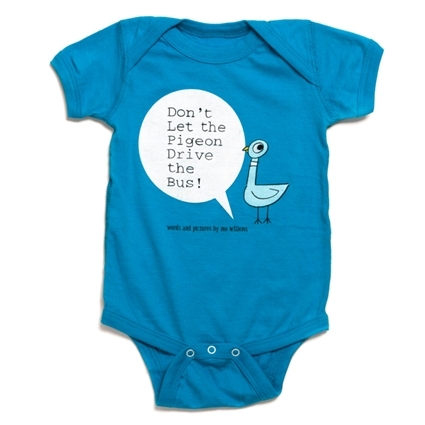 Available in sizes 3-6 months, 6-12 months, 12-18 months and 18-24 months. 100% cotton baby onesie featuring the logo from The Eric Carle Museum of Picture Book Art. Available in sizes Newborn - 12 Months. Comfy and cute, this silky pima cotton cap features the rubbers ducks from Eric Carle's 10 Little Rubber Ducks. For a great gift, pair with the book! Adorable marled grey playsuit featuring the strawberry image from Eric Carle's The Very Hungry Caterpillar. Supersoft fabric made of 95% viscose and 5% spandex. Available in sizes Newborn - 9 Months. Adorable tab top baby cap featuring Eric Carle's The Very Hungry Caterpillar. Made of a soft & silky blend of viscose from bamboo. One size fits up to 9 months. Pair with the coordinating bodysuit or romper for the perfect gift! 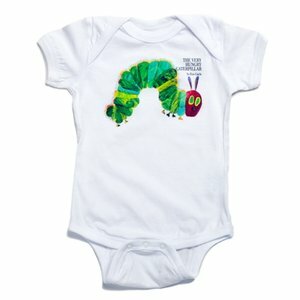 Long sleeve romper with front kangaroo pocket featuring Eric Carle's The Very Hungry Caterpillar. Made of a soft & silky blend of viscose from bamboo. Available in sizes Newborn - 9 Months. Pair with the coordinating cap or book for the perfect gift! Adorable cream white playsuit featuring The Very Hungry Caterpillar image by Eric Carle. Supersoft fabric made of 95% viscose and 5% spandex. Available in sizes Newborn - 9 Months. 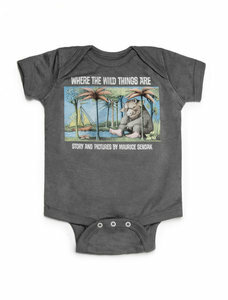 Adorable baby bodysuit featuring cover image from Where the Wild Things Are by Maurice Sendak. Available in sizes 3 months - 24 months. Pair with the book for a perfect gift!